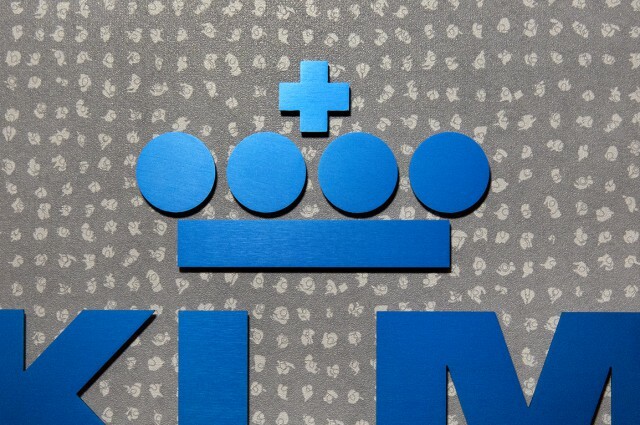 Hella Jongerius designed the cabin interior of the KLM Boeing 787 Dreamliner for both economy and business class, continuing the partnership that began with the design of the World Business Class interior of KLM’s Boeing 747 in 2011. Due to restrictions in the seat composition, designing for the economy class required a pragmatic approach. Jongerius looked for subtle opportunities to make a serious impact. Several aspects of the business-class design are echoed in the economy cabin, such as the double-sided curtain that uses Jacquard weaving technique to combine two patterns in the same fabric. 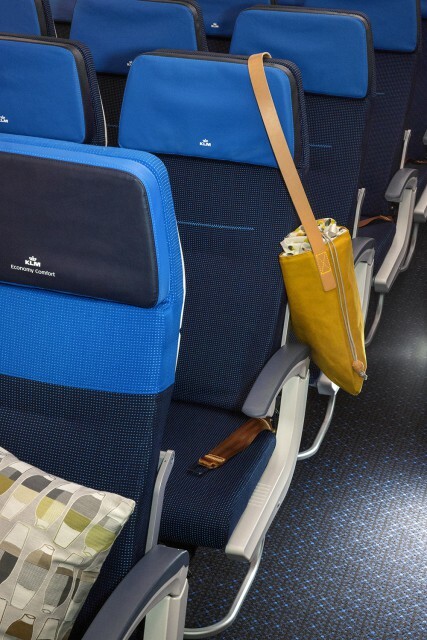 The cradle-to-cradle carpet used throughout the aircraft combines ‘waste wool’ with recycled stewardess uniforms. 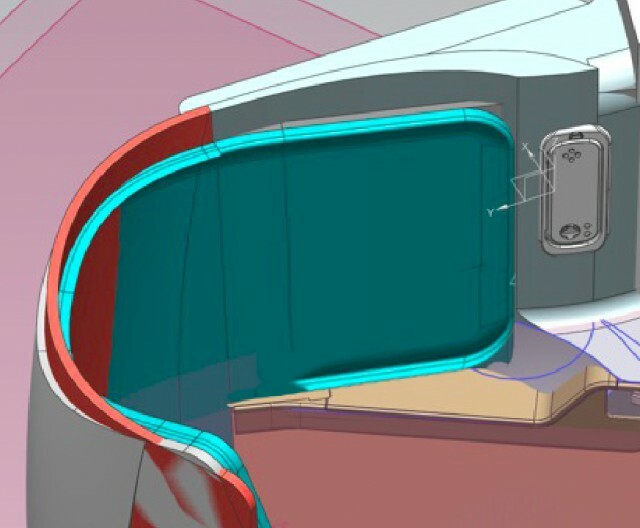 The pattern used for the bulkheads (cabin dividers) is a tribute to the diversity of economy-class travellers. From a distance, the bulkheads look like irregular grid patterns of white dots against a soft grey background. 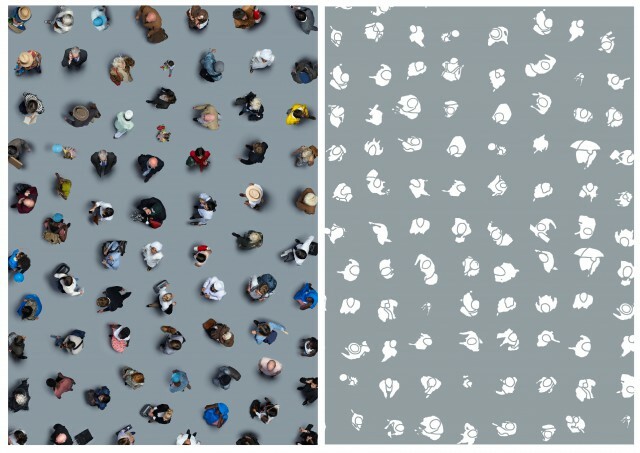 As you move in closer, more and more details become visible, and an image gradually appears: a large group of passengers viewed from the air. This pattern is based on photos of many different travellers, transformed into line drawings to create a more abstract image. They are people of all ages and cultures, headed for many different destinations, each with a unique story to tell passengers who gaze at the dots during their flight. 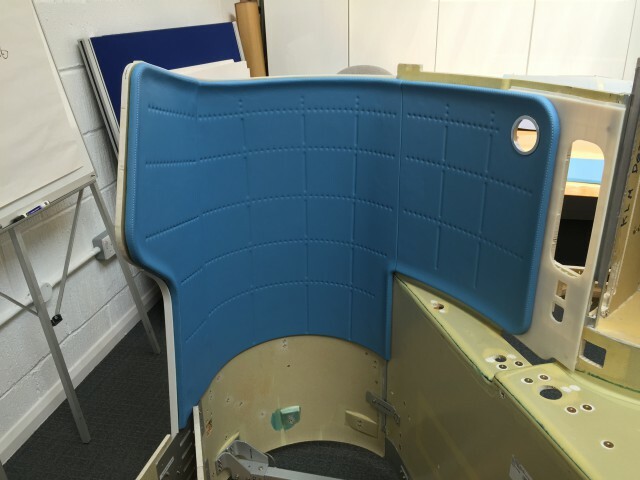 The economy seat traditionally has a stripped-down, engineered look, with tall seat backs that block the view in the cabin. 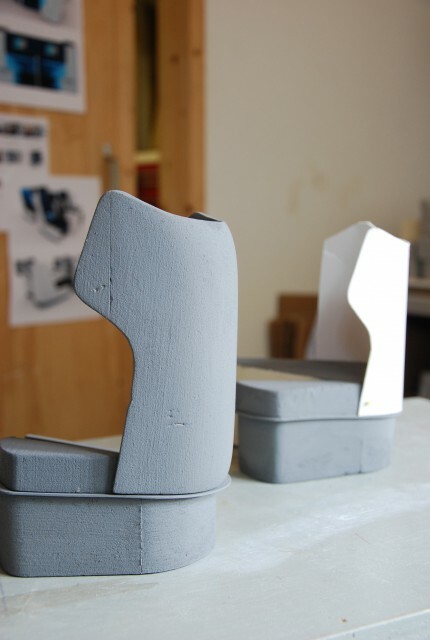 Jongerius introduced a more personal design, with inviting textures and a comfortable appearance. 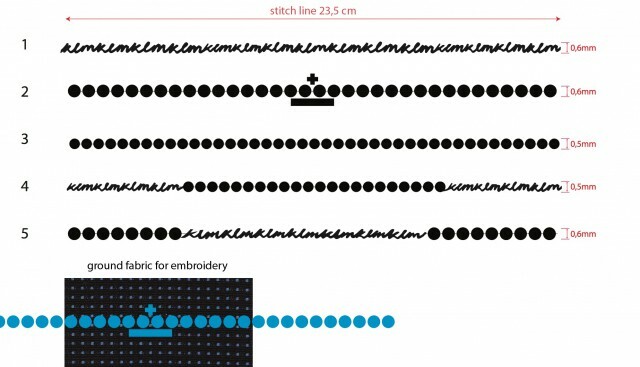 The woollen basket-weave fabric for the seat cover features a pattern of KLM blue dots woven from bright blue yarn against a dark blue background. The dots create a pleasant feel, and the woven pattern shows close attention to visual detail. Through the technique of colour blocking, the long lines of the seat backs are interrupted to make the cabin view more dynamic. These large colour fields in the upholstery also serve a practical purpose, showing which economy seats are in the comfort zone. The embroidered zigzag line on the back of each seat is a bright and tactile detail that creates visual unity. Air travellers often feel like insignificant cogs in a well-oiled machine, where every seat is identical except for the number. Jongerius focused on improving the passenger experience, by creating a homelike environment with warm, varied colours and replacing plastic with other materials that have more appealing textures. She strove for aesthetic unity, avoiding conflicting signals and offering a fresh, contemporary look. Contemporary forms combined with tactile surfaces and warm colours add a human touch and evoke the sense of a comfortable home in the sky in the business class cabin. The cocoon-like business-class seats offer dynamic cabin views. The soft padded ‘ears’ are a contemporary interpretation of upholstered residential furniture, helping travellers to feel at home in a luxurious private space. The dot, which has become part of Jongerius’s signature style, recurs in many elements of the interior, creating a soft, diffuse look. Passengers can adjust the sides to varying positions, breaking up the uniformity of the cabin and creating a lively atmosphere. 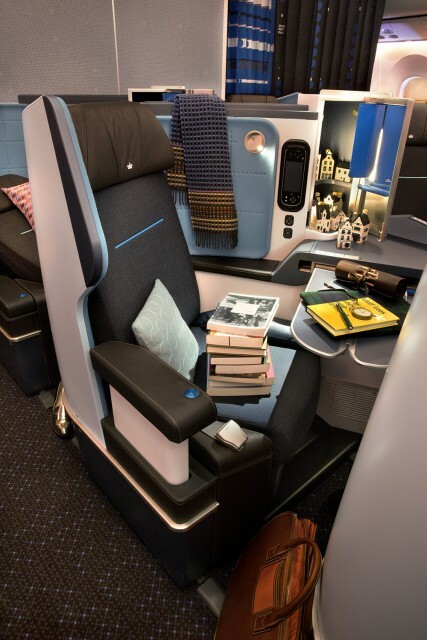 The business-class seats have cupboards that provide personal storage space while doubling as seat dividers. 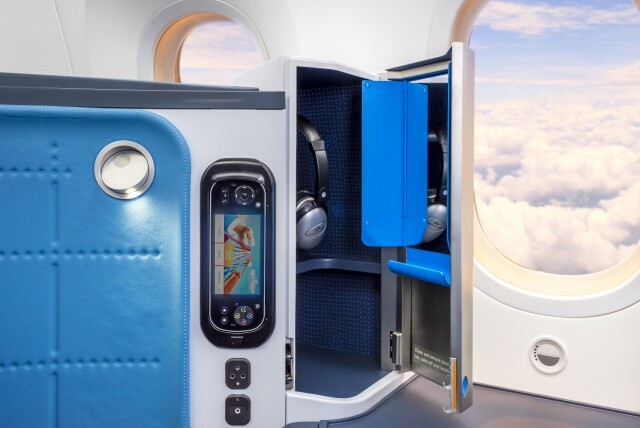 Besides offering plenty of room for personal belongings, each cupboard holds a specially designed mirror for checking your hair after a sound sleep in the full-flat seats. When opened, the brushed aluminium door functions as a seat divider for greater privacy.